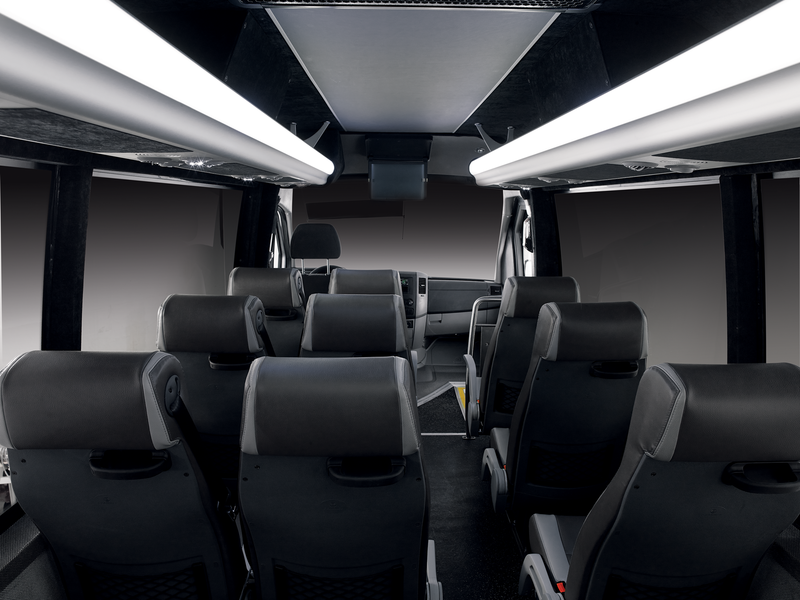 These Sprinters will serve as a replacement for the 13-passenger capacity Vanterras which have been phased out of the fleet and as a slightly larger complement to the 13-passenger Executive Transit Vans currently in use. 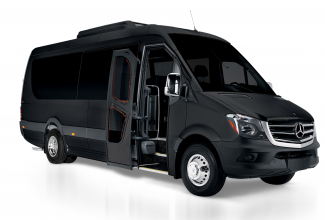 With seating for up to 16 passengers and space for up to 20 bags (or 16 golf bags) in the rear luggage area (which is also equipped with a bar from which to hang garment bags), the Sprinters will fill a capacity niche previously occupied by a number of other vehicle types. 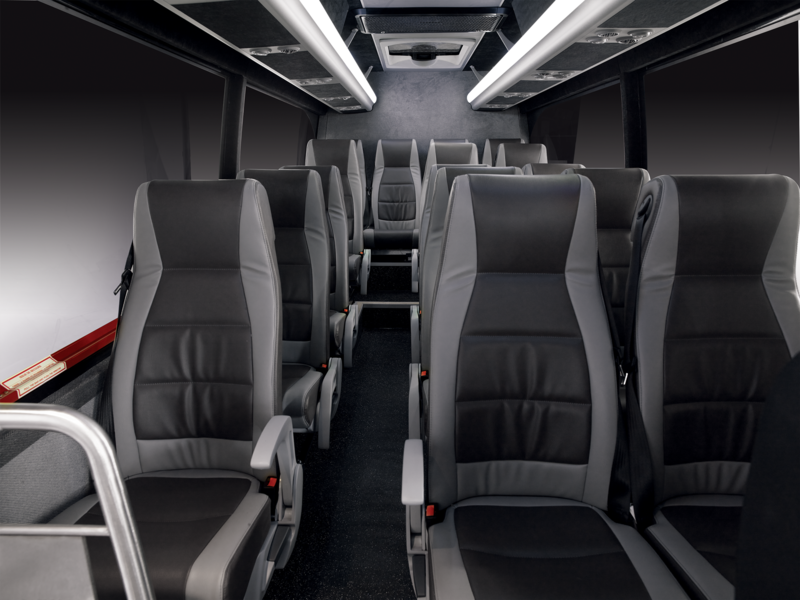 In addition to the spacious luggage section and leather seating with 3-point seatbelts divided by a centre aisle, the Sprinters boast increased space between seats and elevated stadium-style seating in the last two rows, improving passenger views through the enlarged front windshield and side windows for sightseeing tours. Overhead storage space is available for small bags, coats, and other items, and these spaces are also illuminated to aid in the locating of items in dim light or at night. 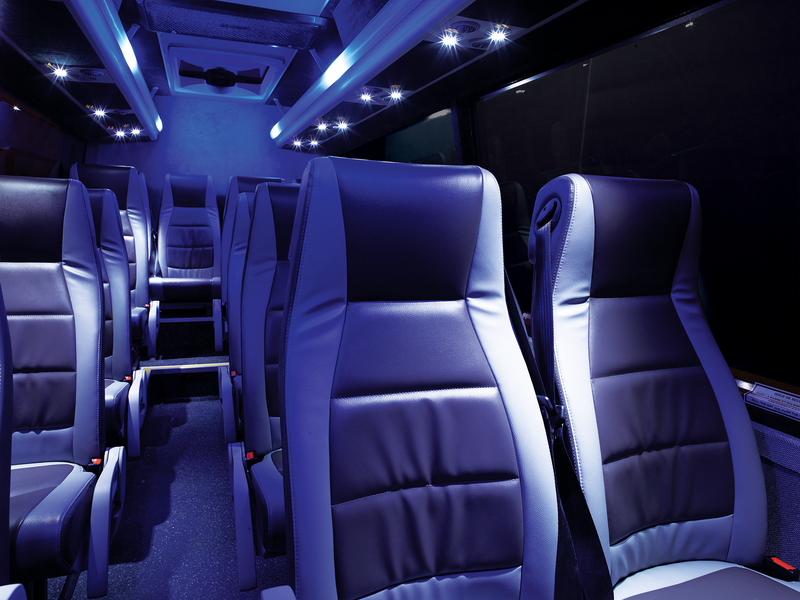 Every seat is equipped with a cargo net in front for extra storage of handheld items, as well as individual overhead lighting and air vents, USB chargers, and cup holders. The entrance door is also enhanced with an airtight design, improving safety and sealing out exterior noise making for a quieter and more relaxing ride. All told, the new Sprinters are an excellent and important addition to the Global Alliance fleet and will help us to fulfill client needs even better at this capacity level. Please speak to your Global Alliance reservations specialist today about pricing and availability of the new Mercedes Sprinter Vans.